We’ve reached the point in Mark’s gospel where the disciples have discovered the identity of Jesus. He is the Christ, the anointed King of the kingdom of God. He is the Messiah and Son of Man. But it becomes quite clear that He was not the sort of Christ the disciples, or anyone else, were expecting. He explains that He will suffer, be rejected by the Jewish leaders, die and be raised up on the third day, all of which Peter finds appalling. Within seconds of his good confession, Peter slaps his Savior with a rebuke. What do you suppose was going through Peter’s head at that moment? Why did he react this way? 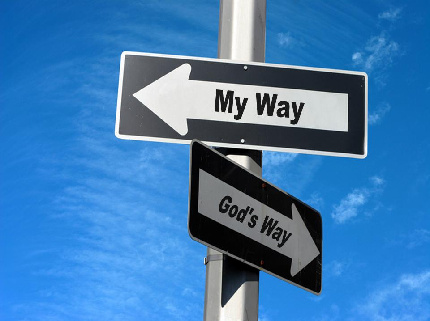 How do we sometimes react when God’s ways do not conform to our own expectations? After Jesus returns the rebuke to Peter and the watching disciples, He begins to explain the ultimate cost of discipleship. This is not a passage to pass over quickly (read it carefully). Jesus requires more than a lot, from those who follow Him. He requires everything! If you really believe that Jesus is who Scripture and He Himself claims to be, what’s holding you back from giving Him your all? I hope you had an opportunity to witness last week’s amazing youth skit, which served as a powerful reminder of the depth of man’s spiritual blindness and of God’s unfailing love, compassion and provision for those who seek Him. This Sunday, at last, we get some resolution on the whole issue of spiritual blindness, as the disciples finally understand who Jesus is, the Christ. They finally see that Jesus is the King of the kingdom of God and the Savior of those who seek Him. This passage, and the disciples’ acknowledgment that it contains, is an important hinge point between the first and second sections of Mark’s gospel. But there’s this odd little story, all of about five verses, that seems to be inserted right in between two passages on spiritual blindness. It is a passage not mentioned in any of the other three gospels, and appears to be a classic Markian sandwich, thrown right in the middle of things to heighten emphasis. But to emphasize what? Do you notice any similarities between the story of the blind man and the passages immediately before or after it? Take some time to skim again through Mark’s gospel up to chapter 8, verse 30 and reflect on the topic of spiritual blindness. Who seems to be susceptible to spiritual blindness? Only Jesus’ enemies? Only His disciples? 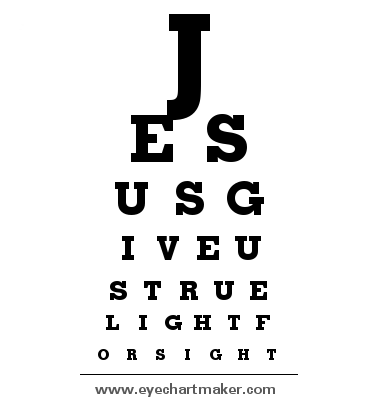 What might Mark be telling you or us about our own spiritual blindness? I hope you will join us for worship on Sunday morning at 9AM, as we transition to our summer hours. I recently used the term “pitbull” (in a loving and complimentary way) to describe another person’s ability to get a particular job done well, without a lot of direction and on time. It is someone on which I place a great deal of trust. Some people are extremely gifted in this way and they are the ones you know can always count on when an important task needs to be done. I could tell by the reaction my comment received that those hearing it didn’t immediately associate “pitbull” with something good. I understand how my comment was not received as the adjective of admiration I intended it to be, since many people view pitbulls as vicious and mean. It’s safe to say that I’ll never use that term again! While I used a dog analogy to express appreciation for a particular person, make no mistake, Jesus did not intend to bestow a compliment of the Syro-Phoenician woman He called a “dog” in this week’s passage from Mark’s gospel. Jews commonly referred to Gentiles as dogs, largely because they were considered unclean, and that was the context for Jesus’ comment in this parable. Yet, despite being a dog (something she acknowledges), Jesus loves and has compassion on her. It was a reaction that must have surprised and definitely defied the wishes of his disciples (Matthew 15:23). Jesus bestowed His grace upon her, however, only after she kept after Him like a barking dog, not stopping until she got what she wanted. Would you have been offended by Jesus’ response if you were the Syro-Phoenician woman? How would you have responded? 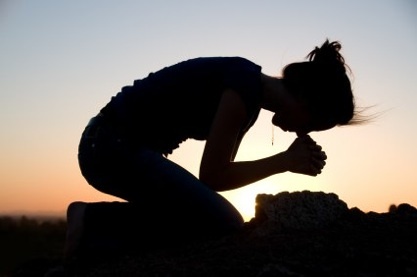 What does the woman’s response reflect about her character and understanding of Jesus? What does your response say about your willingness to reach out for God’s help? Mark then takes us to another story in a different region, of a man who was deaf and had a speech impediment. Again, Jesus has compassion on the man and restores his hearing and speech. Despite Jesus’ warning to the contrary, those witnessing the miracle spread word of the things Jesus had done far and wide. What do you think Jesus was doing by putting His hands in the mans ears and mouth and then by looking up to heaven? Is there a connection between these two passages and with those immediately around them?